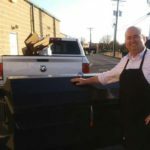 We always meet great people anytime we deliver one of our cookers, but this one just really stands out for us. 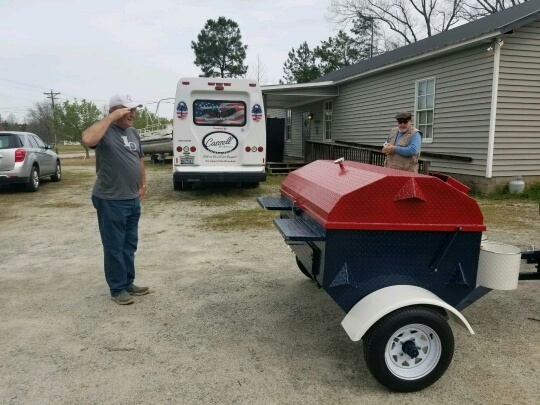 The cooker pictured is painted RED, WHITE and BLUE and was presented to Terry Cotney, the Executive Director of the Freedom and Hope Foundation in Prosperity, South Carolina. This is a non-profit, all volunteer group helping wounded service members and children with life threatening diseases. About 40 overnight events are being held each year at the Woodmen Life – Freedom Isn’t Free Lodge. 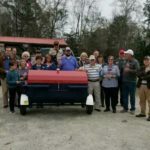 They provide weekends of fishing, hunting, and other activities to active and/or retired wounded military and also to children with life threatening diseases. 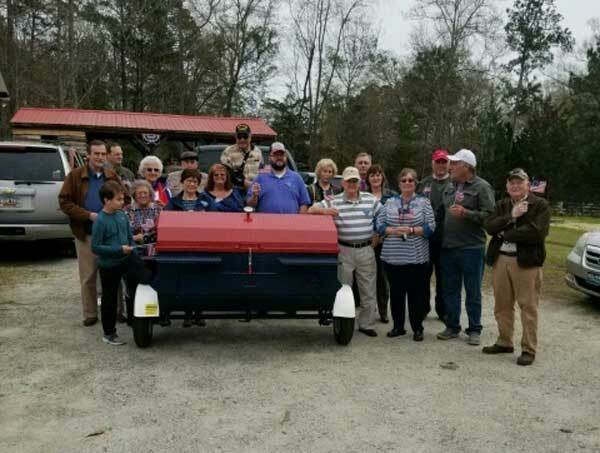 These folks get to participate 100 percent free of charge in overnight accommodations, meals, local guided hunts, fishing adventures, and track chair events. Everyone helping is a volunteer and they have no paid staff. 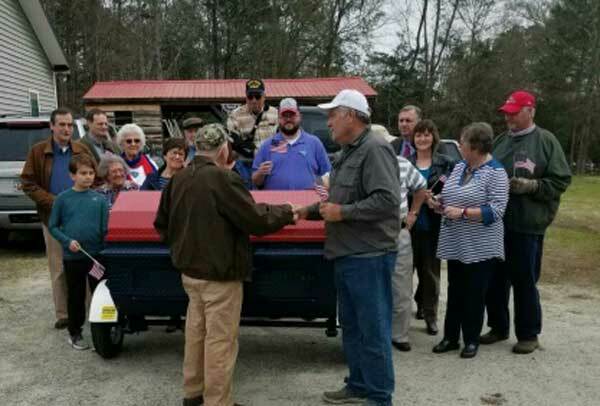 The group presented Terry with this beautiful Red, White, and Blue cooker. It was the first one we’ve ever painted this way and we loved it ourselves. We know many good meals will be prepared on the cooker and we hope everyone participating has a great time of food and fellowship anytime it’s put to use. The cooker is a 5ft model with custom paint and a wood-charcoal drawer. Mr. Gordon and Terry in front. It was our great pleasure to get to meet everyone involved in this wonderful endeavor. We were deeply moved by your kindness to us, to our veterans and military members, and especially to the children that you so graciously give of your time to help. 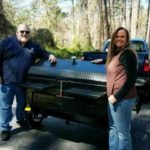 We sincerely appreciate your purchase, and we hope you’ll enjoy this cooker for many years to come. Our hat is off to all of you.